Craig Correia (LSC ’16), Paul & Dixon Insurance Agency, Inc. 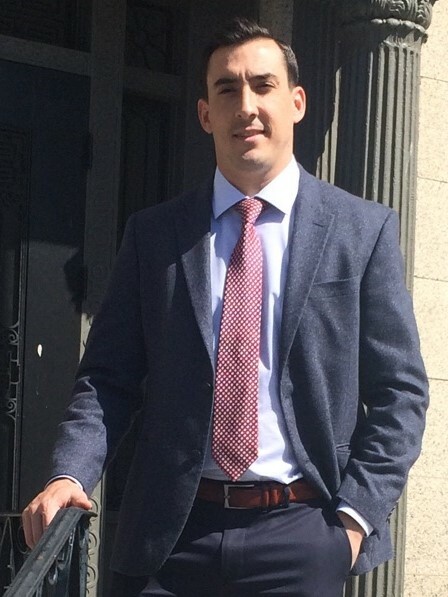 I am the Vice President at Paul & Dixon Insurance, an independent insurance agency located in New Bedford, where I handle the Business Development and Commercial/Personal Risk Advisory Services for our clientele in the Greater South Coast area. In my position, I work with businesses of all sizes to learn about their operations in order to properly educate them about their exposures and provide them with multiple options with our wide breadth of carriers. I am also the Head Coach for Apponequet Regional High School’s Varsity Hockey Program, where I have been coaching since 2010. Currently I sit on the Board of Directors for the Boys & Girls Club of Greater New Bedford and am active in the Facilities Committee and Golf Tournament Committee. My motivation to help with the Boys & Girls Club is driven by my desire to help the youth and future of our community. The Boys & Girls Club is a safe haven for kids to grow, learn, and socialize with their peers in a safe environment. Another program I have become increasingly involved in is EforAll South Coast. Through EforAll (Entrepreneurship for All), participants are given an opportunity to learn from industry professionals as well as provided with a team of three mentors to guide them through the 12-week cohort and into the following years. As an EforAll mentor, I volunteer my time to help aspiring business owners navigate the treacherous process of starting a new business that is built to succeed. Along with mentoring, I also present for the insurance portion of the program where I educate the class about the risks involved in operating a business and some of the policies they should most likely obtain to transfer the risk to an insurance carrier. I also work with the Carl Lee Pacheco Memorial Fund whose proceeds help fund a Scholarship fund for Fairhaven High Student Athletes as well as put on a free Soccer Camp for the local youth. Leadership South Coast was beneficial in so many ways, however I feel the connections created have shaped who I am today and opened my eyes about how much help is truly need to advance our community in the right direction. It has since pushed me to be involved in the causes I am currently working with. Educational. If people can truly understand the motives and goals of any organization or person, they are far more likely to be driven to help and get behind that cause or person.